Fairview is the area just over the Granville bridge spanning from Burrard Street to Cambie Street between False Creek and 16th Ave and offering breathtaking city and mountain views. The Fairview are was originally a primeval rain forest until the opening of the Moodyville and Hastings Mills on Burrard Inlet in the 1860’s when it became one of the first areas to be logged. In 1887 CPR surveyor rowed across False Creek to pitch a tent on the south slope to plot survey lines. Looking back over the water to the brand-new city of Vancouver he determined the new area should be called Fairview, named after the beautiful views. The area remained largely undeveloped until the construction of the electric railway system in the 1890’s. The city lines allowed for easy access to downtown and across town via Broadway. Transit combined with great views made the area a candidate for quick development. With the opening of the Granville bridge in 1889 and the Cambie St Bridge in 1891, the area became Vancouver’s first suburb for the city’s powerful and influential, with many of these heritage homes still standing today. The shore of False Creek remains a industrial area but the surrounding area quickly developed, in the first half of the 20th century zoning for three story apartments caused the area to develop as an apartment district. Surrounding streets became blooming commercial strips to cater to the needs of the area’s new residents. Later during the 1970’s and 1980’s a process of gentrification further densified the neighborhood. While this area failed to become the affordable district that was intended, it has developed into a sought-after area with many conveniences. Opened in 1979, after the False creek Sandbar was expanded and filled in. 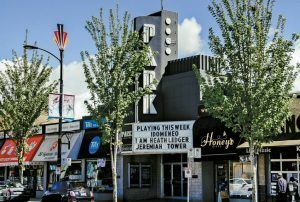 Granville is home to the Emily Carr College of Art, theatres, artist studios, craft galleries and restaurants and represents a successful examples of postmodern re-tasking of inner-city industrial areas. 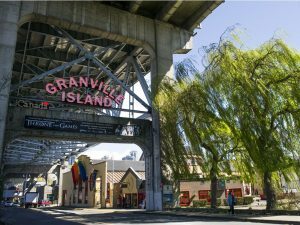 Presenting a huge draw for tourists and locals alike, Granville Island is an iconic centre of Vancouver with a world class public market and many boutique shops and art galleries. The island lies on the sea wall expansion making it a perfect stop during a weekend walk or ride along the creek. BC’s largest business district after Downtown with many shops, restaurants and health care facilities. Broadway is North America’s busiest bus corridor, with over half a million passengers passed by every year. The hope is that the Canada Line will eventually connect to the UBC campus making Fairview area even more convenient. Everything you could need is in Cambie village. 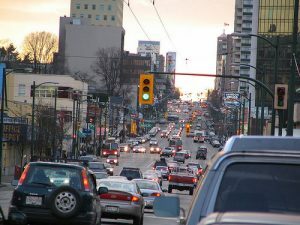 With a large selection of local restaurants and shops as well as big name stores such as Whole Foods and Canadian Tire, the intersection of Broadway and Cambie is Vancouvers version of Yonge and Bloor. Looking to Live in Fairview? Check out listings by Top Realtor Leo Wilk in this Fabulous neighbourhood.